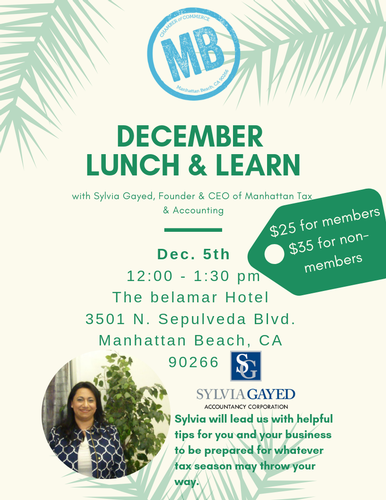 For our December Lunch & Learn Sylvia will lead us with helpful tips for you and your business to be prepared for whatever tax season may throw your way! 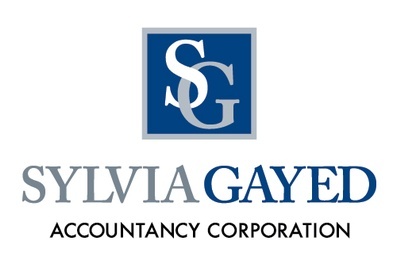 Sylvia Gayed Founder and CEO of Manhattan Tax & Accounting was founded here in Manhattan Beach, almost 15 years ago as a one stop accounting firm. 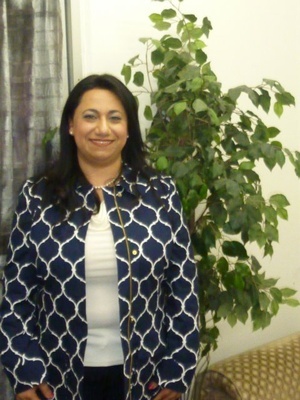 It specializes in individual, business, corporate, partnership and LLCs tax preparation as well as bookkeeping & payroll services.